What EVERYTHING ABOUT HER character are you? Which Toho Monster are You? Find out which Toho creature you are: Godzilla, MechaGodzilla, Mothra, King Ghidorah, or Rodan! What TALK BACK AND YOU'RE DEAD character are you? What I DO BIDOO BIDOO character are you? 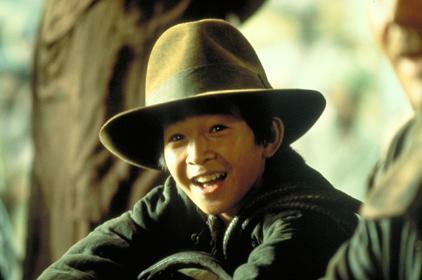 Which "Indiana Jones" sidekick are you? What NO OTHER WOMAN character are you? Four Brothers Movie: Which brother are you? Jack, Bobby, Jeremiah, or Angel Mercer: Which of the four adopted brothers from the film are you most like? What 3 IDIOTS character are you? Which Woman Of Avalon Are You? Ever wonder which woman of King Arthur's court you're most like? The High Queen, Lady Gwenyfar? The Queen of Lothian, Lady Morgause? The Queen of Cornwall, Lady Morgaine? Or the Queen of Avalon, Viviane? Find out here! Which "Outsiders" Character Am I? What would your movie be rated? What character are you from Coraline?